In Traditional Chinese Medicine Qigong belongs to the category of movement arts and has a great variety of forms with their own characteristics in each of its types. A recent study confirms that Qigong helps reduce the incidence of high blood pressure in patients with mild hypertension and prehypertension. The Qigong has a great variety of forms with specific characteristics within each, being many traditionally used to benefit specific body systems. The researchers concluded that the Qigong It is safe and has a "positive effect on blood pressure and health status in patients with mild hypertension and prehypertension". Based on these results, researchers suggested further studies to analyze further the medical benefits Qigong, using a larger group of participants. Of a total of 40 randomly selected participants, Two groups were formed, a control, and a Qigong. The group practiced qigong exercises five times a week, for eight consecutive weeks. Group Qigong reduced blood pressure, but not, the control group. Systolic blood pressure was significantly reduced. Diastolic blood pressure was not affected. Traditional Chinese medicine is divided into five major categories: movement arts, acupuncture, medicina herbaria, Dietary and health to the bones. The Qigong and other arts such as Tai Chi, belong to the category of movement arts in Traditional Chinese Medicine, which includes other breathing exercises and meditation. 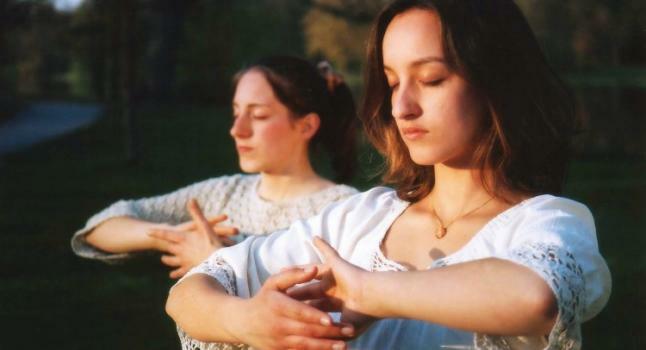 Most forms of Qigong include meditation, synchronized breathing and exercise.